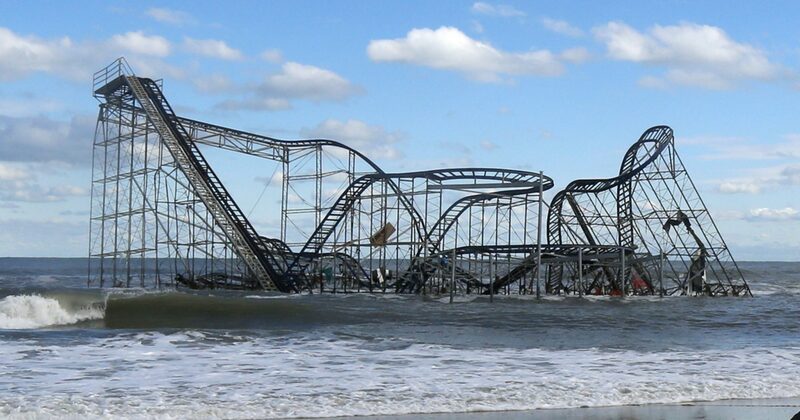 Here are more useful links as we Re-think the coast in the post-Hurricane Sandy world. Beachapedia – for information on all things coastal, see the Surfrider Foundation’s Beachapedia. The Hurricane Sandy Rebuilding Strategy – is a report from the Hurricane Sandy Rebuilding Task Force. This link is to a HUD press release from August 2013. The full report of 208 pages including 69 policy recommendations is linked at the bottom of the press release and a shorter 5 page fact sheet is linked as well. Rebuild By Design – is an initiative of the Hurricane Sandy Rebuilding Task Force and HUD, is aimed at addressing structural and environmental vulnerabilities that Hurricane Sandy exposed in communities throughout the region and developing fundable solutions to better protect residents from future climate events. US Strong – US Strong is calling for a dedicated, national, “Extreme Weather Relief and Protection Fund” to protect and strengthen our homes, communities, public health, environment and economy. Their report called Extreme Weather, Extreme Costs” is here. Overwhelming Risk: Rethinking Flood Insurance in a World of Rising Seas – Fantastic report from the Union of Concerned Scientists on the National Flood Insurance Program. NJ Flood Mapper – View what sea level rise looks like in your area with this online tool. Long Beach Island, NJ Case Study by EPA’s James Titus in 1990. – This paper explores four different options by which a barrier island could respond to sea level rise. NJ ADAPT is an effort between universities, NGO’s and Government to host and apply climate data to NJ coastal communities.